Replies: 69 (Who? ), Viewed: 54842 times. This challenge was originally made by ZombieCleo, in which you can find their challenge here. This is not my challenge. I've only reimagined it so it will be more historically accurate. Most of these points and rules were written by ZombieCleo. 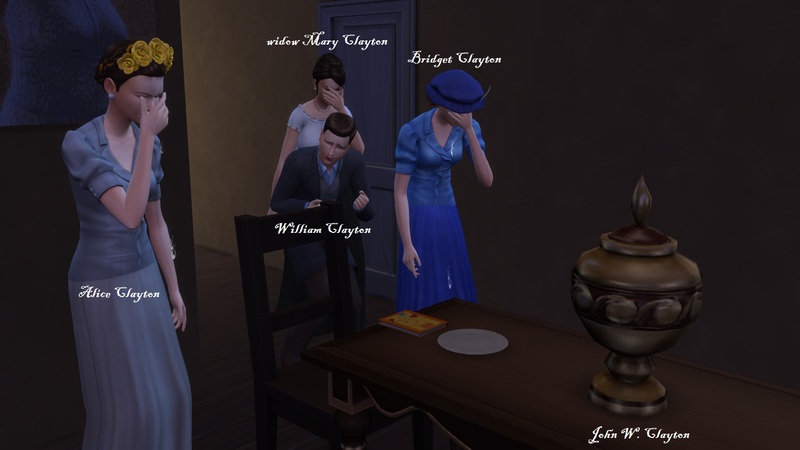 The Decades Challenge starts all the way in the 1890s, where everything smelled like crap and people didn't have indoor plumbing. This challenge is inspired and set in the supposed land of the free, also known as the United States of America. There are a lot of rules in this game. In each decade, they are listed by importance. The first rule is the most important or one of the most important rules and WILL affect gameplay. The last rule is generally a very minor detail that will not affect game play. 3. If you choose to make 2 sims, they must be married or they're going to get married. 1. Only male heirs are allowed. If there are no boys, then a woman's husband may inherit. 2. 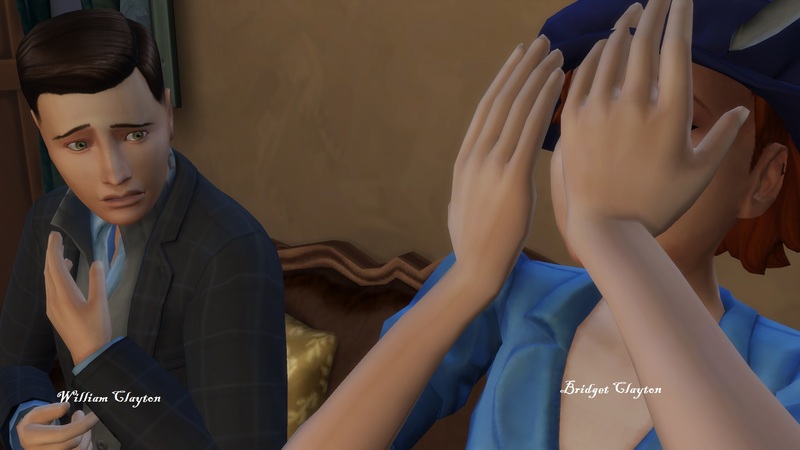 Sims may only have a relationship and marry with the opposite gender. 3. Sims may only marry within their own ethnicity/race. 4. Sims must only "Try for Baby" and never "Woohoo." 5. Teenage sims cannot "Mess Around"
6. No electricity. Use candles or lanterns to light up the house. 7. Women take care of the children, tidy the house, and cook. They can help tidy the garden, and go jogging for fun. 8. Men can only have the Entertainer, Doctor or Criminal career. If otherwise, men can choose to stay home and make money through woodworking, painting, and gardening. You can open a retail store or a restaurant, only if you have enough money. 9. Sims cannot get a divorce unless one of them commits adultery (in this case, flirting with another sim in front of the spouse). 10. If a woman becomes widowed, then she may earn money through painting, gardening, or woodworking. If she becomes divorced, then she can earn money through the Entertainer career. 11. Elementary is mandatory, but high school is optional. 12. High School has a fee. It costs §1000 for every teenager going to school. 13. Female children move out once they are married. 14. OPTIONAL: I'd recommend downloading a teenage pregnancy/marriage mod (or some other mod that just has teenage pregnancy/marriage embanked in it) since women generally married and had children before the age of 20. 15. Your sims cannot go to festivals or events (City Living). 16. Cell Phones are only allowed to invite people over to your house or to travel. 17. Only bathtubs. No showers. 20. Wooden floors and walls. No drywall or wallpaper. 21. Buy the cheapest/oldest stoves, fridges, counters, etc. No other kitchen appliances are allowed besides the stove and fridge. 22. Only impressionist or classic paintings are allowed to be hung. Kid's drawings can only be hung in the kid's rooms. 23. If your sims get sick, you can't give them medicine. You have to cure them through natural remedies. 24. 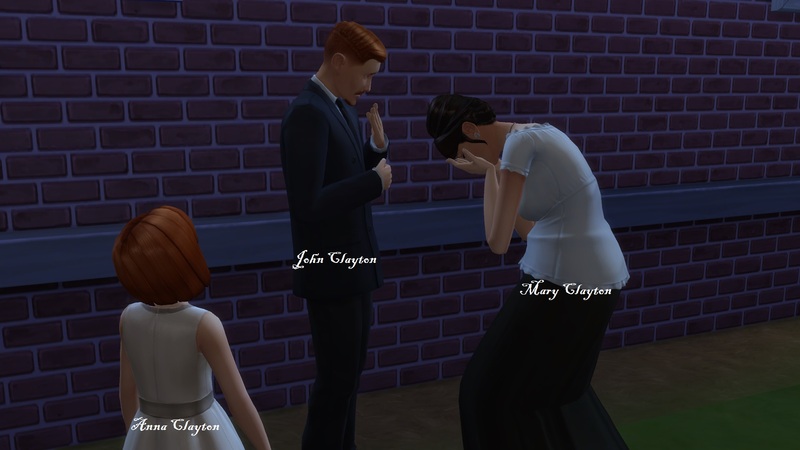 Your sims may not throw any events besides weddings. 25. Every child born during this decade must be born at home. They can only be fed through breastfeeding and not by bottle. 26. If your family can afford it, then you may hire a butler or maid. However, you cannot hire a Nanny. 27. Also, you probably want to start working on a cowplant in this decade. 1. Sims may now have the following careers, as well as the ones listed above: Business (Management), Culinary (Chef), and Musician Career. 2. Women who are widowed or divorced may not work in the Business, Culinary, or Musician Career. They can only work as what is listed in the 1890's decades. 3. You can now have electricity, but only in the form of lamps. Indoor plumbing is now allowed. No showers, only bath tubs. 4. OPTIONAL: Cheapest computer may be bought, but your sims can only use it for writing. 5. Playing games/browsing web/etc. is NOT allowed. 6. Your house can now have wallpaper. 7. The phonograph is now available for music. 8. Your sims can now go on vacation. 9. By the end of this decade, you will need a cowplant. 1. All males who are teenagers, young adults, adults, or who become teenagers during this decade will have to "leave for war." 2. To "stimulate" this wartime leave, roll a dice and feed them to the cowplant. Odd numbers = death. Even numbers = live. 4. OPTIONAL: You can put the men in another house or lot to make it feel as if they have left for war. 5. Men cannot work in their young adult stage and may only work once they reach adulthood. 6. Men who are about to go to war get a chance to have a child before leaving. 7. Children must go to school. Teenagers who go to school MUST get a C or higher. 8. Students who do not receive a C or higher must be sent away to another house.Men can now work as Painters. Keep that cowplant well and nourished. 1. Women heirs are allowed. They can inherit. 2. Women can now work in the Entertainer, the Culinary (Chef), or the Painter career if they are widowed, divorced, single, or if their husband does not bring in enough money. 3. Men can now work as a Mixologist in the Culinary branch. 4. Your sims CANNOT drink beer, wine, moonshine etc. ANY sort of alcohol is prohibited. 5. Children and teenagers who go to school MUST get a C or higher. 6. Students who do not receive a C or higher must be sent away to another house. 7. Young adults are encouraged to work in the Criminal career. 8. If you have the Hangout Stuff Pack, then your sims are allowed to watch movies. 9. The radio is allowed. 1. Everybody in a career loses their job. 2. OPTIONAL: By using the money cheat, reduce your household funds by 40% to "stimulate" the stock market crashing. 3. To make money, teenagers who do not go to school, young adults and adult sims MUST scavenge around the world for 1 week (in-game time). 4. Sims can only eat hot-cooked meals ONCE per day. If they get hungry, they must eat food found from scavenging, fishing, or gardening. 5. Sims may not join the Business Career anymore. 6/ Bills must ONLY be paid after the electricity is cut off. 7. OPTIONAL: For a more difficult version, wait until your water is cut off as well. 8. After 1 week, sims may have a job again. 9. Elementary is mandatory. High school is optional, and encouraged. There is no longer a fee on 10. high school. 13. Prohibition ends. Your sims can now drink alcohol again. 14. OPTIONAL: Every sim that "served" in the army and "survived" World War I will receive a pension. Use the money cheat to add §100 to the household funds for every war survivor. 15. Gardening for money is encouraged. 16. Small paintings only. Sims may not create medium or large paintings. 1. Men sim who are ALREADY Young Adults by the time this decade starts must "leave to war." 2. To "stimulate" war time leave, roll dice and feed your sims to the cow plant. Odd numbers = death and Even numbers = live. 3. Men who BECOME Young Adults DURING this decade will not leave for war. 4. Men who BECOME Young Adults DURING this decade must get a career. 5. Assuming that these males have experienced war time, they must take one of the following traits: Gloomy, Hot-headed, Clumsy, Insane, Lazy, Mean, or Noncommittal. 6. Relationships between different ethnicity is now available. 7. 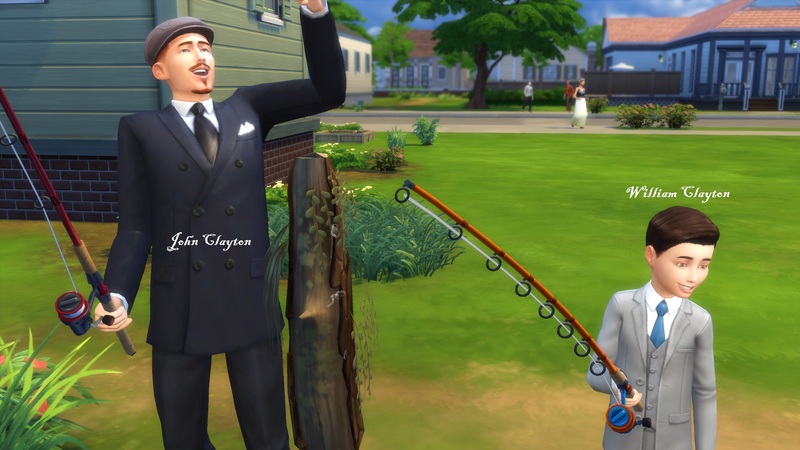 Your sims can now have the following careers: Athlete (Body Builder), Painter (All Branches Open), Culinary (Mixologist), Entertainer (All Branches Open), Secret Agent (Diamond) and Doctor. The Business Career is still LOST and no sims may apply for it. 8. OPTIONAL: If you have GTW, then the Detective Career is also unlocked. 9. Sims can still only eat ONE hot meal per day. All other hunger is dealt through scavenging, fishing, or gardening. 10. Single women or teenage girls must get a career. If they get married, they can decide to pursue their career on or become a housewife. 11. Elementary is mandatory. High school is optional and highly encouraged. 12. Sims can now take medicine when they become sick. 13. Every house must have a radio, and someone must listen to it for at least an hour everyday. 14. Every house must now have a garden. The garden should have at least 4 plants in it. 15. Teenage Jobs are encouraged. 1. The following careers have been unlocked: Athlete (All Branches), Writing (All Branches), and Business (All Branches). 2. Married women can either have a career or be a housewife. 3. Since the Korean War happened during this time, the eldest male child and the eldest female child must "leave for war" once they reach Young Adulthood. 4. Both children get fed to the cowplant. Roll dice. Odds = Death and Evens = Live. 5. Assuming that these sims have experienced war time, they must take one of the following traits: Gloomy, Hot-headed, Clumsy, Insane, Lazy, Mean, or Noncommittal. 6. OPTIONAL: Since the "Baby Boomers" Era peaked during the end of the 1950s, you can download a mod to make teenage sims become pregnant. 7. Your sims can now divorce for whatever reason. 8. Your sims can now live in apartments (City Living). 9. Sims can now eat unlimited hot meals. 12. Your sims can now have a TV! Only the first three cheapest TVs are available. 13. There are television restriction times. Television can only be watched at from 6am to 9pm. 13. Showers are now allowed!. 14. Adoption is now available. 15. OPTIONAL: Every sim that "served" in the army and "survived" World War II will receive a pension. Use the money cheat to add §250 to the household funds for every war survivor. 16. Hiring Nannies is now available! 17. Having many children and large families is encouraged. 18. Houses can now have carpet flooring and brick flooring. 19. Houses can be decorated with any type of paintings. 20. Patterned flooring is now available. 21. Private Pools are now available. 1. Marriage between different ethnicity is now available. 2. The following careers have opened: Secret Agent (All Branches), Astronaut (Space Ranger) and Scientist. 3. Mothers with careers may take maternal leave during the third trimester. They may also take maternal leave after the baby is born. 4/ Your sims can now "Woohoo". They do not have to "Try for Baby" every time. 5. Teenagers may now "Mess Around." 6. Every sim who "fought" in the Korean War and survived will receive a pension. §250 for every sim who survived. 7 .Better radios are now allowed. 8. You can now have fancier sofas, beds, chairs, tables, and stairs. 9. Tea Brewers are now allowed. 1. First two children to reach young adulthood must be sent to war, regardless of gender. 2. Roll dice and feed them to a cowplant. Odds = Death and Evens = Live. 3. Assuming that these sims have been to "war", they must choose one of the following traits: Gloomy, Hot-headed, Clumsy, Insane, Lazy, Mean, or Noncommittal. 4. Environmentalist Movement - Anybody born during this decade must have the following traits: 5. Active, Self-Assured, Loves Outdoors, or Outgoing. 6. Homosexual relationships are now allowed. 7. Computers are now allowed for gaming. 8. Microwaves are now allowed. 9. Coffee machines are now allowed. 10. Plastic furniture is now allowed. 11. You can now have better stoves, fridges, sinks, and showers. 12. Dishwashers are now available. 1. The following jobs have been unlocked: Tech Guru (Start-Up Entrepreneur), and Secret Agent (Villain). 2. At least one sim in the family now has to be in the Business Career. 4. Every sim who "fought" in the Vietnam War and survived will receive a pension. §250 for every sim who survived. 5. Cell Phones are now allowed. No restrictions. 6. Computers may now be used for gaming. 7. Better TVs are allowed. No flat screens. 9. Your house can have marble flooring now. 2. When the oldest teenager is about to become a young adult, the family must prepare for the Y2K Disaster. 3. You must build a temporary safe house or shelter using the cheapest furniture. The whole entire family lives in there for 3 days right before the teenager's birthday. 4. No children are allowed to go to school during the Y2K Disaster time. 5. In the safe house, there cannot be a computer. 6. Men can now take paternity leave after their child has been born. 7. There are no cell phone restrictions. 8. There are no restrictions on how fancy your showers, sinks, fridges, or stoves can be. 9. Your sims can now use the computer for socializing. 1. Computers can be used for anything now. 2. Flatscreen TVs are now available. 3. There are no longer any restrictions on the type of electronics you can own. 4. All fitness machines are available. 5. There are no restrictions on how fancy your furniture can be. 6. No restrictions on the type of flooring. 7. No restrictions on the type of walling. 1. Homosexual marriage is now allowed. 2. There are no restrictions on anything. Seriously. As you guys can see, the lists are very long. A lot of the rules are trivial and flexible details that are generally looked over. So even if the set of rules seem long and limiting, most of them don't majorly affect gameplay. I've tried my best to make this list historically accurate as possible, but I did rearrange some things to make the challenge less tedious. Indoor plumbing wasn't really a thing until the 1930s - but it'd be kind of difficult and angering to separate the house and the bathroom for 4 decades. TO WIN: Your must get your family through all the decades/generations. If anybody has any suggestions/corrections for the already super long list, then please tell me them. I would really appreciate it! I'm just confused on scores. In the 1920s, early form of birthcontrol was made, so something like half of the woohoo could just be woohoo. Sleeping around was also more common in the 20s, after the first war. Indoor plumbing and lighting really wouldn't be in 'low-class' homes until the 30s, at least. I think I'll try it, but I'll try and stick to history a bit more. History is just one of my favorite subjects, so I want to play it as historically accurate as I can. I'll try this as soon as I finish my current challenges! It might be tedious, but I don't mind, lol. I've decided that each sim day is a year so I'm flying through the decades. My starting couple (John & Mary Clayton) married in 1890. Their son William was born about 3 years later, followed by twin girls Anna & Alice, and a final daughter Helen. The kids' births took up the whole 1890s. Helen was born in 1901. The 1900s were pretty uneventful, the Claytons grew a cowplant and a few other plants and John was promoted enough to have to choose between the comedian and musician branches of the entertainment career. Just as they entered the 1910s, William married Bridget Starkey. She announced her pregnancy just before John and William left for war. Eldest daughter Anna married Kevin Ames and moved in with his family. Mary discovered her own late pregnancy just after. During my first "war roll", both men lived . Bridget and William's first child is a little girl named Dorothy. 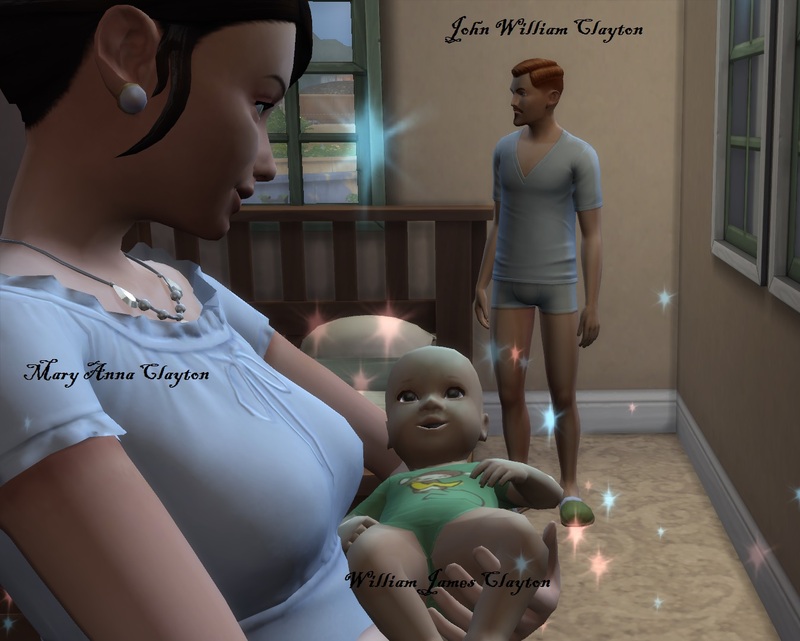 Mary gave birth to her and John's 5th child, whom she named after herself Mary Clayton. I waited two days and rolled again for each of the men. John and William both died. I let William live long enough to accompany his father's body back (and visit with his wife & young daughter). Bridget became pregnant again and William was killed in action. Bridget gave birth to a son that she named after her late husband. Alice met an older gentleman who was very well off and married him. 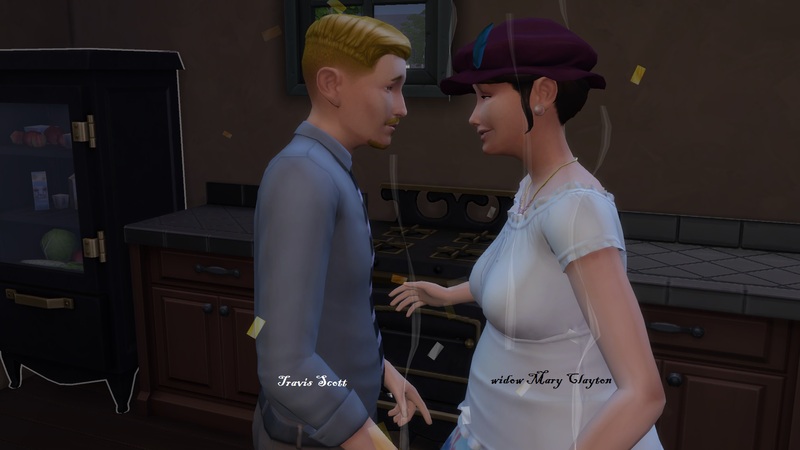 Arian & Alice Redkey live across town in a large house and are expecting their first child. Mary found love and security again with bachelor Travis Scott. Travis loves children and was excited to start his new life with a large family already intact. Of course, Travis also had to serve his country and did not get to spend much time with his new wife or stepchildren before leaving for war. Luckily, he left with good news - he was going to have a child of his own by the time he got back. Unfortunately, this tour was devastating to the Clayton/Scott family. Mary lost her new husband Travis and Anna lost her teenage husband Kevin Ames and her father-in-law Erich Ames. Alice's husband is spared from serving due to his age. Mary and Alice both give birth to sons. Mary's is her 2nd husband Travis Scott's only child, Travis Jr. Alice's is her & her husband Arian's 1st child, John. 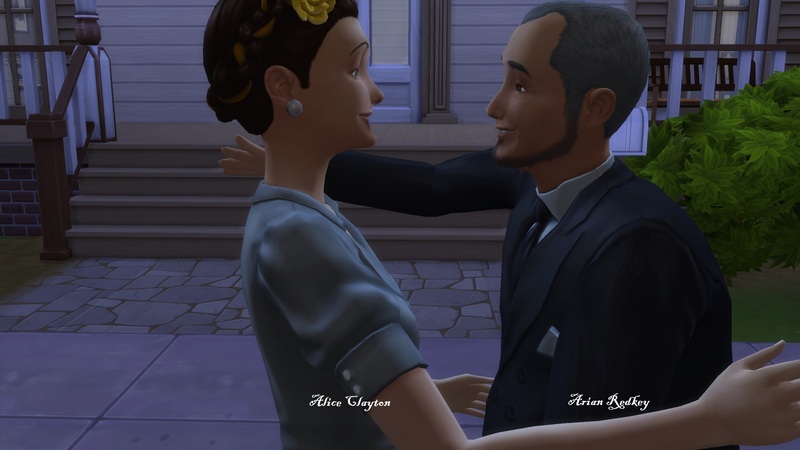 Bridget (William's widow) marries Malcolm Landgraab, a wealthy landowner, & Helen marries Malcolm's younger brother Ryan. Bridget & Malcolm are already expecting a child together. Last edited by DitzyEkko : 11th Nov 2016 at 9:31 PM. Just started this challenge yesterday, for the first decade can't the man also be in the medical career if u have GTW because being a doctor or surgeon was a well known profession back then? Yes, definitely! I kind of forgot about GTW careers when I was writing this haha. I love this idea. I would also like to see someone throw in the extra hardships different minorities went through in each era, since white people had it a lot easier than black, hispanic, asian, native american, and other minorities. 4. Your sims can now "Woohoo". They do not have to "Try for Baby" every time. rule were to be moved to the 1980s? This is a challenge I'd probably pick up on, but I'd have to make it a bit more historically accurate for myself first. When do you progress to the next time period? - Assuming that somebody was born at the start of a decade, they would be 10 years old at the close of that decade. - Ergo, in Sim-time, when a Sim is roughly 3/4 of the way through the Child Stage, they would be 10 years old. 1890: Ingram and Caroline Spence marry. They've moved into a little cottage in the countryside. Ingram is a small-time criminal in nearby Windenburg. 1892: Ruby Spence is born. 1894: Cecil Spence is born. The family cottage suffers a minor kitchen fire which guts their stove. 1897: Marylou Spence is born. 1899: Jasper and Clyde Spence are born. 1903: Rosemary Spence is born. 1905: Ruby left school upon reaching adolescence, achieving a B-average. 1907: Ingram joined the upper echelons of the crime ring, reaching the beginning of the Criminal (Boss) path. Cecil's tuition was paid through, so he is now attending high school. LOVING this challenge! I created a challenge myself and once I win mine, I will do this! You shouldn't mistreat your sims like that. And that XD? It's not funny! please help me, How do I figure this out! So, nearest that I can figure out (because it is tough to calculate after the fact), your family is currently in the last half of 1901. Basically, the way I play, I assign two days to every year, and I just religiously keep track of the years as I play. Early 1890 (Sunday) - Monique is born. 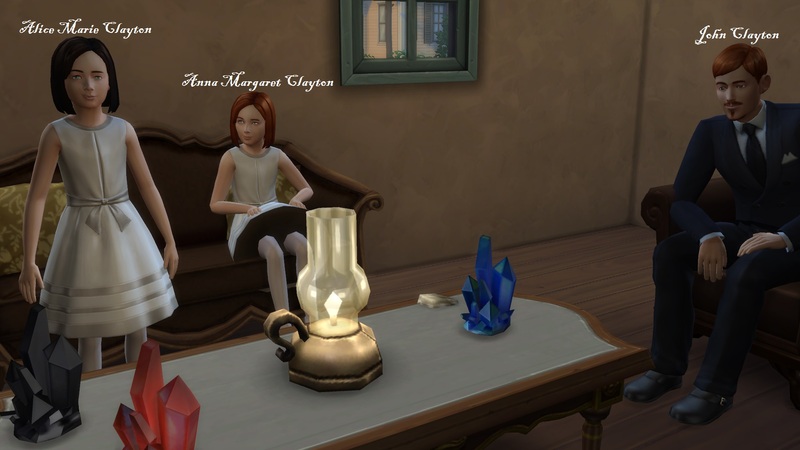 Early 1892 (Thursday) - Monique grows to toddler; Emmalyn is born. Early 1894 (Monday): Emmalyn grows to toddler; Ashleigh is born. Early 1896 (Sunday): Monique grows to child; Ashleigh grows to toddler. Late 1897 (Wednesday): Damian and Melody are born. Early 1898 (Thursday): Emmalyn grows to child. Late 1899 (Sunday): Damian and Melody grow to toddler. Early 1900 (Monday): Ashleigh grows to child. Early 1901 (Wednesday): Fernando is born. Assuming that your household is currently sitting in a Thursday, my timeline ought to be reasonably accurate. No, mistreating my Sims is the fact every last son died in World War I. Cecil made it all the way to 1917. 1909: Rosemary grew into a child. Marylou grew into a teen and dropped out of school with a B average. 1910: Alonso and Ruby were married (Ruby @ 18 years old). 1912: Jasper and Clyde grew to teens with a B and a C average. Both dropped out of school and began working as manual laborers. Ruby became a young adult and had her daughter Pearl. Stefan and Marylou had to have a shotgun wedding (Marylou was 15 years old). 1913: Caroline and Ingram both died of "ill health" (overexertion). 1914: World War I begins and all young men over 16 are conscripted into service. Cecil grew into a young adult and went off to war at age 20, along with his brothers-in-law Stefan (27) and Alonso (31). Marylou had her son Stefan Dawkins Jr., and Pearl Caliente grew into a toddler. Alonso and Stefan are both killed in action. 1915: Jasper and Clyde are conscripted into service at 16 years old. Rosemary is sent to live with Ruby and Pearl. Jasper is killed in action. 1916: Rosemary becomes a teen with a B average, and begins her high school studies. Stefan Jr. grows into a toddler, and Marylou remarries to Alton Caliente. Clyde is killed in action. Cecil, the only remaining son, is killed in action. The inheritance transfers to Stefan Dawkins Jr. as the nearest living male relative. Love this challange. Do any of you guys know of any working teen pregnancy/marriage mods? Can't find anyone! I'm using deaderpool's MC Command Centre. It was on MTS, but has since moved to its own Tumblr. How do you know when one decade is done? Nice history challenge, nice pics also. i would add 1890 and before, on houses far from city, where all where gossip and censure, not so easy to be free this times, so women can work on farms, fishing, on wood carvings, and any fabric craft in many ways, doing clothes, wool crochet etc. and painting, writing, also they use exchangeing goods to make his money rise. at rural markets or door by door. while man go on harder works, cutting woods, starting factories near or far from home and at wars. there is a mod to not use pc, notebook http://modthesims.info/download.php?t=545512 i think still work.